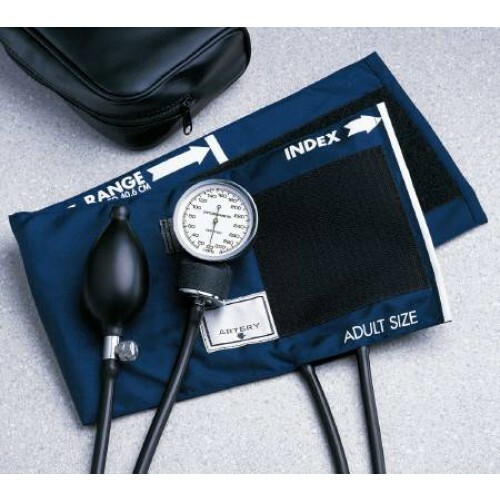 Aneroid Standard Sphygmomanometer black enamel 300mmHg no-pin stop manometer features a navy blue nylon cuff with range markings to facilitate selection of correct cuff size, artery label, and gauge holder. Additionally it has a chrome plated deflation valve and a latex inflation bladder and bulb. 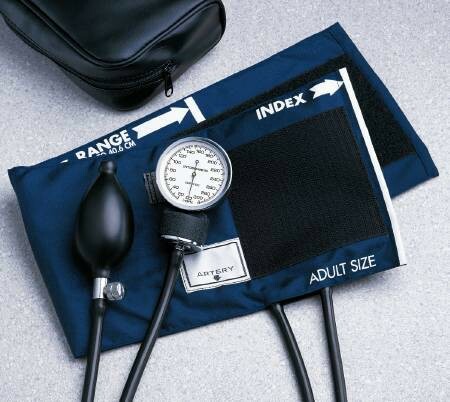 Black enamel 300mmHg no-pin stop manometer.